You might think there is an opportunity to exploit purportedly “dead” or abandoned trademark rights in the ST. LOUIS RAMS name, but those trademark registrations remain active in nearly every class of goods and services, including for consumer goods as obscure as computer mouse pads and sunglasses. 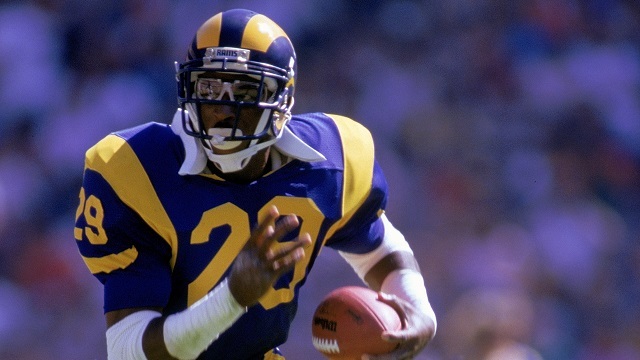 Similarly, when the Rams moved away from Los Angeles in 1995, the football team maintained and renewed the old “Los Angeles” trademarks, logos and graphics for purposes of memorabilia sales and throw-back jerseys. This rendered the marks continually in “use” in commerce and therefore protected from infringement, disparagement and dilution by third parties. The NFL does not mess around when it comes to intellectual property. These tactics are not unique to the NFL, either. For example, the Los Angeles Lakers still maintain an active trademark registration in the name “Minneapolis Lakers” even though the Lakers have not been in Minnesota since 1960. What if I tried to register a similar trademark before the move was official? The Rams did not receive permission to move to Los Angeles until recently. Rumors have been persistent for a few years that the team was exploring the option to move, however. It is not uncommon for people to try to register domain names, blog titles and even trademarks in anticipation of such things. For example, in March 2015, an individual applicant filed a federal trademark application for LOS ANGELES RAMS OF INGLEWOOD. It does not appear that this individual is affiliated with the football team but it seems he has tried to get a jump on the “Inglewood” name because that is where the new stadium is going to be located sometime before the 2019 football season. While this particular trademark application for “Inglewood” is a Section 1(B) “intent to use” application, and therefore not actually being used in commerce today, something tells me this applicant is going to receive a cease-and-desist letter if and when the mark is ever published for opposition by the USPTO. It is likely to confuse with the existing trademarks already owned by the football team, and the applicant’s listed goods for “Hats; T-shirts” almost certainly conflicts with the goods that will be marketed and sold in short order by the team. Lawyer up, buddy! What about the other NFL teams with interests in Los Angeles? The Oakland Raiders have had a love-hate relationship with Los Angeles for years but have been in Oakland since 1995. Yet even the Raiders still have trademarks for LOS ANGELES RAIDERS that remain active today. 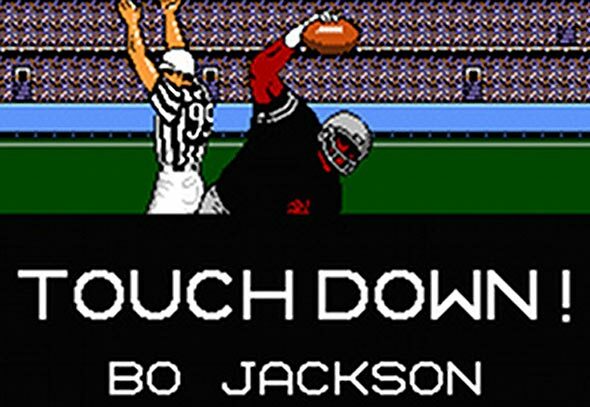 If only out of respect for the Bo Jackson era. Bo was the best. Not to mention that memorabilia, jerseys and videos from the L.A. Raiders era remain quite popular for nostalgia purposes. The San Diego Chargers now have the option to move to Los Angeles as well. Have they already procured trademark rights in this area? Believe it or not, individual applicants have tried to register LOS ANGELES CHARGERS as a trademark in various classes of goods and services dating back to 2000. None of these particular applications was registered and they are considered “dead” trademarks. The applications have since been abandoned. Education and entertainment services, namely, production and distribution of ongoing television programs in the field of family management and relationships; Educational and entertainment services, namely, a continuing program about football games accessible by means of radio, television, satellite, audio, video, web-based applications, mobile phone applications, computer networks, etc. And yet the football team’s logo is not a federally registered trademark. Granted, the football team has common law and geographic rights in the name and logo. They can and likely will oppose any registration of this new Los Angeles themed design mark but it is curious that the San Diego Chargers have a registration for the word mark but have not sought to register the CHARGERS logo and design separately. This could be an interesting trademark battle if the Chargers do opt-in and move to Los Angeles within the next year. In summary, the St. Louis Rams and San Diego Chargers appear bound for Los Angeles. And they are taking their trademarks with them. All of them. But if you lose to the Rams, you get thrown out of the league. See U.S. Trademark Reg. Nos. 18/89,818 and 09/71,047. See U.S. Trademark Reg. Nos. 32/56,433, 30/52,567, 28/93,650, and 28/24,202. See U.S. Trademark Reg. No. 17/67,505. U.S. Trademark App. No. 86/573,018 (filed March 23, 2015). See U.S. Trademark Reg. Nos. 18/91,012 and 13/22,621. See, e.g., U.S. Trademark App. Nos. 75/910,087, 77/657,928, and 78/001,445. U.S. Trademark App. No. 86/791,054 (filed October 17, 2015).